Keeping active is one of the best things you can do for your health but sometimes it’s hard to get outside. That’s where something like a treadmill or another type of exercise machine can be super handy. 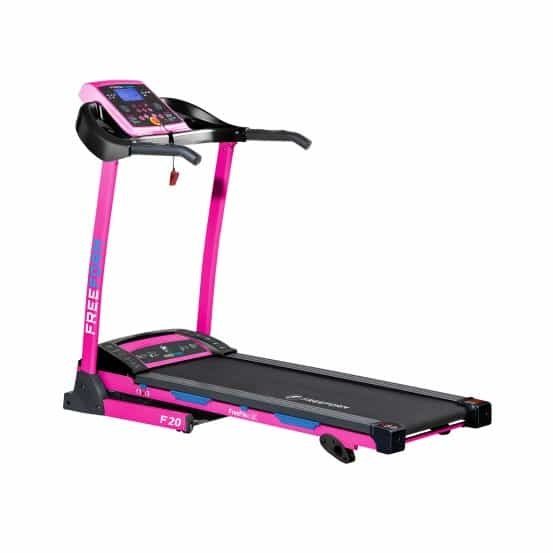 To help you out, we are giving away this Freeform F20 Treadmill in pink worth $974 thanks to the fabulous team at Gym and Fitness. Like our Facebook post here and tag in your friends! 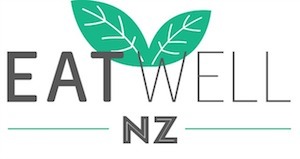 This competition will be drawn on 1 March and is open to NZ readers only. Winner will be notified via email and published on this post. If the winner doesn’t respond within a week of contact, the competition will be re-drawn. Congratulations to Emma Hurley – check your emails! Always stretch & stay hydrated! Sometimes just putting on your activewear can be the hardest part, lay out your workout gear for the next day so you have no excuses to get it in and go! My favorite fitness tip is to make sure you exercise with good friends. Have a laugh and it makes any exercise fun. My favourite fitness tip is to do cardio on the treadmill when I first wake up on an empty stomach. Makes me feel great for the rest of the day! Just do it! Try not to overthink it and get it done. Omg no idea they made these in pink! Would love this so much. Tip: good music is essential ? Make sure to drink plenty of water.Would love to win. My fav fitness tip is, Exercising doesn’t have to cost a dime. Walking/running and toning exercises are free! My fitness tip is to set a goal and work towards it- whether it’s running 5km or doing 30mins of daily exercise whatever floats your boat and keeps you going! Wow that’s puts a whole new look in getting fit loving the pink. So with a busy house hold of 2 boys and 1 husband we both work full time and sadly not only no time for the gym as we are always doing after school activities with the boys. We would love to get out of our month squats and ab workout and really do some serious cardio. My favourite fitness tip is go for a run in the morning as your fresh and ready to go , then aim for your workout in the arvo so even if something comes up you have still completed something for the day ! Wow that treadmill is so pretty ???? My fitness tip would be to use the stairs where possible instead of lifts and to always keep healthy snacks at work so you dont delve into sugary treats. Don’t put too much pressure on yourself! You can’t life the biggest weights on day 1 or run a marathon after a week! Be proud of yourself for getting up and doing it but be kind to your body – persistence is key! Fitness with friends is the best fitness there is! Makes it so much easier and way more fun. This would be fantastic recovery for my ankle injury and a way to ditch the excuses since I could use it late at night, early in the morning and any other random time of day. And it’s a cool colour????? My tip is to always listen to music whilst doing fitness. It takes the mind elsewhere and keeps you focussed. It also helps with mindfulness!… bonus! I find that having someone who makes you accountable whether it be a PT or just a friend makes it easier! Exercise with a friend…… Make it enjoyable together and keep each other accountable. Nice walk in the bush with friends is my go to fitness. If your feeling a bit slow, sluggish or tires, go for a walk or move your body. You have to move to make Energy???? My fitness tip would be to keep going! If you don’t do anything you won’t get anywhere. Also not everyday is gonna be the same, sometimes you will have bad days but that’s okay because you just try again tomorrow. One hour is only 4% of your day, when you think about it like that it seems much more reasonable and easier to fit in an hour of exercise every day! My favourite fitness tip is to have a decent set of earphones and an incredible Playlist lined up before you start. No changing songs, skipping about etc plus you can time your intervals to the songs. listen to your body. No when to push and when to just have a rest! My fitness tip is keep hydrated and to find something you enjoy. If you dont enjoy it you wont do it. This would be awesome, I do most of my workouts at home as no one to watch my girl so struggle on the cardio, this would work a treat. Thanks for the opportunity to win ???? Find what motivates you and let it guide you. Always have a buddy so you are both accountable to each other! Make a play list of you most favourite songs. Make it short and sweet to start with 5-6 songs. Get your body used to moving. Work your way up by adding another song in every few days. Before you know it you will be jamming along for a good hour or so to your favourite tunes. It takes time and effort to see results. Slip ups happen just keep going. Get more active as a family, walks, bike rides etc as it benefits everyone and it can be hard to fit in dedicated ‘exercise’ time. Would love a treadmill at home to smash out a bit more exercise without going to the gym. This would be awesome love the pink….. my tip would be to listen to music it passes the time so it doesn’t seem like a chore more like a dance party. Just do a little each day and you will get there in the end. Exercising with the kids during the school holidays when it is harder to get to the gym is so much fun! We love going for a bike ride along the cycle way in Dunedin, walking some of the many beautiful walking tracks we have, shooting hoops in the backyard or even pulling out a Pilates DVD. So much fun and so great for the kids to keep active during the holidays too when they are not doing their usual daily P.E! Get up and do it early! Then you don’t have to think about getting it done later ??? I would love this! It would make working out much easier on the days I can’t get to the gym! Exercise early in the morning while the kids are asleep then you’ve done it for the day and also fasted. Helps boost the metabolism and lose weight ???? My tip would be low intensity fasted cardio in the morning, a lite walk, on the road with friends or in the gym and catch up on last nights TV series. Followed with a warm lemon water when you get home, sets you up for a good day! My fitness tip is little and often. It doesn’t always have to be a major work out to count. Just take the stairs. Walk to the next bus top before you hop on. Stand up and walk around your office. Stretch a little before you sit back down. Changing your mindset about movement is vital. Soon you’ll want to do the major stuff! I love a brisk walk in the morning fresh air I try to go on of road tracks as it feels good being in nature as apposed to walking the streets. My fitness tip is to organise a fitness buddy that you can exercise with so that you have someone that can hold you accountable, motivate you and make doing exercise fun and enjoyable ???????????? Change things up , keep your workout interesting???? My fitness tip is to put some time aside before and after a workout to stretch, warm up and cool down. I snapped my Achilles tendon, it took 3 years of therapy, I believe I probably could have prevented the injury if I had given myself 15 minutes to stretch. I have 8 week old twins so have yet to manage a regular exercise routine outside of the house! So my tip for mums is to use what you have, in my case it’s going up and down the stairs multiple times a day, carrying two crying babies around for weight training (both over 5kg) & walking back and forwards to the microwave re-heating the same coffee every hour! Love mixing up my workouts. A combination of yoga, some team sports, running and swimming by myself and doing weights and interval training with my boyfriend. If I’m doing different hinds all the time I stay motivated cos I don’t get bored. Doing it with other people sometimes is great too so I can be competitive with myself and with others. Find something you really enjoy doing. It shouldn’t feel like a chore and you won’t find yourself watching the clock and counting down the minutes until you can finish exercising. Meet a friend when you go for a walk or a run to keep each other motivated. Omg I would love to win a treadmill, it would be the perfect aid for getting back in to running after having my first baby. My faveourite fitness tip (great for getting yourself moving when you have zero motivation!) is to tell yourself you only have to do whatever exercise it is for 10minutes. If after 10minutes you really aren’t feeling it, you have permission to stop and go home. Guaranteed that after those 10minutes you will be feeling so good and in to it that you will continue for your entire workout! Definitely to keep a balance of activity you enjoy but incorporating new or mixed routines in 🙂 Be as active as you can in as many ways possible. My fitness tip is let yourself know what type of exercise you love to do, keep up with the basic, and focus on what you want to gain or lose. My favourite tip is to have a positive attitude. There’s nothing better than looking forward to workout! Remember to fue and refuel/hydrate your body with nourishing foods an liquid to help you train harder and recover faster! Establish a routine and stick to it! After a few weeks you’ll feel weird not working out. My Fitness Tip is, you don’t need to do an hour of exercise a day, just 12-30min a day can get your heart rate up and moving. Just doing a 12min HIIT Bootcamp gets your blood pumping and makes you a hot sweaty mess. Using and working different parts of your body is all it takes to make and see changes. Early morning sessions are the best no too hot! And feels good to get it done for the day! Don’t forget your water bottle ? OMG This is BEAUTIFUL! My Fitness Tip is if you are struggling for time and motivation to leave the house, go onto you-tube and find some free workouts online that get your heart rate pumping – such as a 15 minute fat burner workout or even yoga! Do something you enjoy then you will stick at it! It’s no fun doing something that makes you miserable! Do a little bit even if you don’t feel like it.. get into a habit and it will become easier. Listen to music super loud while exercising!! Would be amazing!! And the pink!! I’ve lost 40kg, 30kg to go! Set small goals and work towards them. Little steps go a long way. Also, find an exercise you enjoy so it doesn’t feel like sub a chore and if you can manage it, exercise early in the morning then you don’t have all say to talk yourself out of it! Have a fitness buddy to keep you both accountable, it’s not so easy to just make up any old excuse not to go for that walk if you are letting someone else down as well as yourself ???????? Exercise with a family member or friend as you keep one another motivated and on track and your exercise goes a lot quicker. Keep disciplined with your exercise as you reap the benefits of feeling good. ???? I find getting up early to exercise. Is the best. Gets me energised and going for the day. Don’t compare yourself to others, so easy to become discouraged that way. Be YOUR best! If you’re not a fan of exercise do it first thing in the morning so you can get it over and done with. Early morning exercise is best ???????? Don’t leave room for excuses (eg get early morning run gear ready the night before) and make it fun! Set yourself fitness goals which are SMART – specific, measurable, achievable, realistic, & time-based. The goal could be something as simple as doing 30 mins of exercise a day every day for a month. At the end of the month reflect on how the exercise made you feel, & what other aspects of your life it positively affected. Then make another goal! It’s great to have something to work towards. The hardest part is just deciding to do it. Be organised so I have no excuses not too. I break it down, it only takes a minute to get ready, only takes twenty minutes to walks to halfway etc. Also visualise how good you feel after doing the exercise. Just get outside for a 30min walk everyday, even if you are tired, it really does make you feel better, not to mention sleep better! Get all your gear ready the night before so there is no mucking around in the morning!!! And have something to work towards! A holiday, some new clothes, dinner out at a fancy restaurant! Whatever works for you! I’m probably the only female who isn’t a fan of the pink ???? but a treadmill could be handy! I would love to win this. Just need to make some room. Stay hydrated and make sure you have a small protein snack for after your workout to avoid getting HANGRY!! Making exercise a routine thing, and getting out and doing it first thing in the morning is the best thing…it gives me so much energy for the rest of the day. Just get out and get moving. Every little bit helps ???? Best fitness tip?? No excuses, just do it! Make a plan, be accountable. Find someone to workout with so if you don’t turn up you’re letting them down. Always have your favourite music playlist at the ready, really helps with the motivation. This would be so awesome! My best tip is to prioritise yourself and don’t feel guilty about making time for fitness. Also to do whatever you love, dancing, weights, swimming whatever. The program that will give you the best results is the one you’ll stick to, and you’ll stick to the one you enjoy. I’m a busy mum of three and this works for me! I’d love to win a treadmill for when I can’t make it to the gym! I have a few tips on staying fit & healthy but number one would be know your limits! This can be so hopefully with increasing cardio fitness or weights . After many attempts at losing weight it was finally managed to lose it and keep it away !! I was finding in all previous attempts I was going too hard too fast and it wasn’t possible to maintain . Experiment with what exercises you like, what your good at, and from there strive . Don’t go to to a gym and start squatting the heaviest weight you see and feel unmotivated that you can do only two. Don’t hit the pavement for a run expecting to go for 20 mins straight when after 1km your lungs are exploding and your feet want to fall off . Set goals, work hard for them, but don’t expect the world from yourself all in one go ! I started jogging doing 2km around the block and recently completed a half marathon ! Worked my fitness up over the course of 16 months ! Amazing feeling ???? Would love the treadmill to help me train for my full marathon at the end of this year! Literally never wanted to win anything more ??????????? I’m a firm believer to aim for the stars. It all fits together if the minds in the game. I always used to think treadmills were a waste of time because running just needs to be done outside, but with the terrible summer we have had down south lately, I would absolutely love to have a treadmill to use! Make sure that working out is enjoyable! I love to try new things and challenge my mind and body with different types of workout, and you can also make new friends – improving your health in more ways than one! Find a fitness plan that is right for you and stick to it! Don’t compare yourself to others. Start with what you are comfortable with and work on increasing intensity from that. Be realistic about your goals and try not to focus on the number but more on how you feel. Walk twice a day morning and afternoon. Ease into it don’t go to hard to soon or you probably be to sore to come back for more in my experience. Slow and steady at first wins the race ???? It’s all about creating a habit. Once that’s done, it’s easy. Well easier. So just get going, know the first few days/weeks will be hard then after that you’re well on the road to a great exercise habit where you’ll feel strange when you don’t do it. I would like to win this treadmill and have it home as I am on isagenix products to gain some muscles https://isaliving.co.nz/ and one treadmill will help me start with some workout. my fitness tip would be to find something that motivates you to push yourself whether it is a training buddy or upbeat music. Something to make you put in 110% I always plug in headphones when I work out and I enjoy every minute of it ?? Buddy up when getting started with working out. Helps you to be accountable, plus adds some friendly competition! My tip would definitely be prepare, prepare, prepare! ???? Being prepared for those times when you want something quick and easy to eat or snack on, being prepared for those early morning excercises … If you don’t prepare you prepare to fail ???? Don’t overdo it! – I was always doing this until I started yoga and now I let my body tell me when to slow down. Just do it! Even if it’s hard just do your best! Would love a treadmill! I can see the whole family wanting to use it ???? Go and do something either first thing in the morning or straight after work, don’t hit the couch first! Find a friend to work out with. It’s easier to keep motivated. ???? Find a form of exercise you enjoy doing, that way it doesn’t seem as much of an effort. Having a workout buddy also helps keep you motivated. location to store fat) and this treadmill would be just the right piece of equipment to help me out with getting back into shape and boosting my self esteem. I want to transform physically and mentally in a positive way and become a healthier me. Do strength training to build muscle because the more muscle you have the more calories you burn whilst resting. Do interval training to maximize results in less time 20 minutes of high intensity interval training can burn more calories as a 60 minute cardio workout at constant intensity. Focus on compound exercises which involve working more than one muscle group at a time such as Squats and Planks therefore you burn more calories in one go. Always warm up and cool down before exercise to avoid muscle stiffness/cramps. Eat complex carbs and protein before exercise and eat simple carbs and protein after exercise. Get a fitness watch so you remain motivated, track your progress, and reach your goals. Make exercise fun for example you can burn 210 calories in 30 minutes of hula hooping or 126 calories in 30 minutes by jumping on the trampoline. Go to the gym early in the day, you generally eat healthy during the day and you don’t find yourself making excuses as to why you can’t workout at the end of the day when you’re tired, busy etc ???? Find something fun & do it regularly! Buy yourself some fab workout clothes that make you feel good. If you want to wear them, you’re more likely to get out there and use them! Start off slow and build from there. I would LOVE one of these! To pretty for the boys to touch ???????? my exercise tip would be to make the most of what’s available to you and make it fun, it’s possible to have a fun workout in your back yard with just a towel on the grass! I did it yesterday with my best friend and workout buddy! ???? Stretch! So so important ???? Find something you love to do as fitness instead of forcing yourself to do something you hate. Don’t like the idea of a gym? Get some work out DVDs instead. Love dancing? Do some YouTube dance workouts. Exercise doesn’t have to be boring, you just need to find what works for you. Try to find something you enjoy doing so you will want to keep doing it also something that can involve the whole family to help stay motivated. Get out in the fresh air and put your self first, a small change in your lifestyle can make you feel great , just do it!!! It is worth doing even just 10 minutes of exercise and you can feel so much better for it – you don’t need to have 20 minutes free. Make exercise dates with a friend. Scheduling your training activities and involving a friend or two increases the commitment ???? Get up early and workout, even if you dont feel like it 90% of the time once you get going youll be glad you got up- also good music to get you motivated and in the zone!! Listen to what YOUR body needs. I now feel more energised and toned doing half an hour body weight youtube workouts each morning as well as going for walks and incidental exercise than I was when I went to the gym 4-5 times a week using weights and cardio equipment. Plus always make time for stretching, just five deeps breaths per position, and you will feel so much better for it. VISUALISE ALL THE REASONS WHY YOU ARE EXERCISING; HOW YOUR BODY IS IMPROVING AND YOUR END RESULT. My tip is Never give up, even a 5 minute walk is better than none. You can do it. Schedule exercise into your routine so that it becomes a regular habit. Exercise with someone or join classes so that you become more accountable. Make sure it’s something you enjoy doing so you stick at it. I would so love to win this! I’m keen to start running but would rather get some better fitness before hitting the streets where people can see me! Ha ha. Plus it would be great to use while my little ones nap and I can’t leave the house. Don’t think “I have to exercise” or “I’m going to hate it”, think “I’m going to feel good doing it” or “I’m going to feel good afterwards” which gets you in a different and positive mindset! Also, listen to your body in terms of workouts times, I always used to want to be a morning exerciser but I hate mornings so would never do it! Someone finally asked me why I wanted to be exercise in the mornings and I had no actual reason other than just because so I stick with after work! If you are an after work exerciser don’t sit down on the couch until you have done so because that makes it even harder to get going! I don’t do my exercise straight away but instead of sitting down I prep dinner, put away dishes or washing, or do a bit of housework (so I don’t have to clean in the weekend) and then am ready to exercise! Its time to change! Its time for our whole family to change and we are slowly doing it. Have bought some books and we are all slowly adapting. 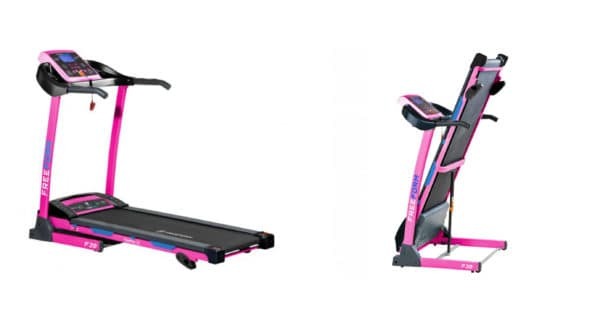 Having this amazing Pink treadmill will be another motivating tool to have in our quest for a better lifestyle, especially with daylight saving finishing in a few more weeks, we can all motivate each other to make time to do more exercise and get to our goals sooner. This treadmill will be used as a team effort – no excuses! My best fitness tip is to start a journal (I started a bullet journal) that gave me motivation to get up and work towards my goal. Love ticking things off a list! Enter an event and break it down into mini goals you can gradually achieve! Interval training on the treadmill changed my life!! Have never felt fitter! Do it!! Cardio is your best friend!! !